In recent years research has indicated that babies who sleep on their tummies are more susceptible to cot death or Sudden Infant Death Syndrome (SIDS). For this reason you have probably heard, you should put your baby on its back or side to sleep. Unfortunately many babies do not sleep as well on their backs as they do on their tummies. Is there anything we can do to improve our baby’s sleep in this position? Swaddling babies is used in many cultures to help babies sleep better. But in the latter part of the 1900’s in Western culture, swaddling went out of fashion and few moms knew how to swaddle their babies. In 2002 research from the Washington University Medical School studied the effect of swaddling on sleep. The results indicate that swaddling a baby decreases the number of night wakings during deep sleep significantly. It also increases the length of REM sleep by helping babies return to sleep spontaneously, which limits the need for parents to intervene. The research concluded that as it is necessary to encourage babies to sleep on their backs, they should also be swaddled so that the back sleeping position does not negatively affect their sleep habits. 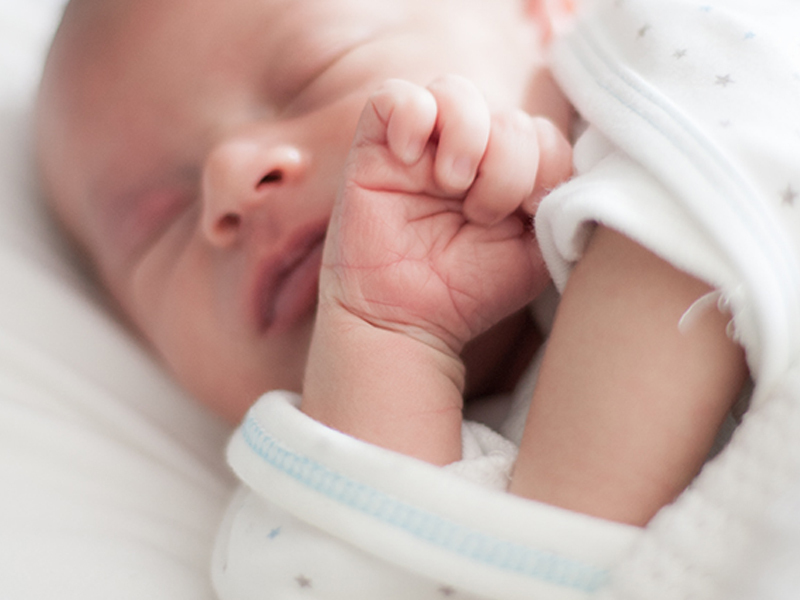 How does swaddling help sleep? As your young baby falls asleep, he moves from a drowsy state, to a light sleep state to a deep sleep state. As your baby transitions between these sleep states, he will have a small jerk of his arms and legs. For young babies and light sleepers, this jerk is sufficient to wake them, which is why many mothers find that their babies are 15-minute cat-nappers. For these babies and those who wake repeatedly at night, swaddling is the solution. Swaddled snugly your baby’s little jerks whilst sleeping will not wake him as his arms move against resistance and he feels contained. Use a swaddle made of a 100% cotton interlock as the stretchy fabric mimics the elastic feel of the womb. As your baby’s little jerks (caused by the primitive reflexes) push against the fabric the elastic quality pushes the arms back, providing the resistance that is so calming. The tight wrap of swaddling provides deep pressure, the most calming of the touch inputs. This is the reason that babies who are swaddled for significant periods of the day are calmer babies. Baby Sense has designed the Cuddlewrap, a swaddle that is perfect for a new baby, in shape and fabric.